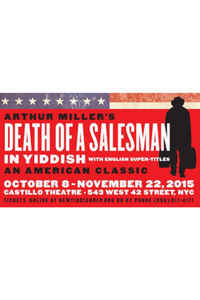 Set in the late 1940s, the story follows traveling salesman Willy Loman as he slowly unravels. The play explores the complicated family relationship between Willy, his wife, Linda, and their adult sons, Biff and Happy. In this Pulitzer Prize and Tony-winning drama, playwright Arthur Miller examines how far one man will go to provide for his family and achieve the American dream.